Beauty Care Choices: Hair Color terms you should know before you have your hair colored! Hair Color terms you should know before you have your hair colored! BALAYAGE Also called hair painting, this technique is where color is applied freehand to the surface of hair. 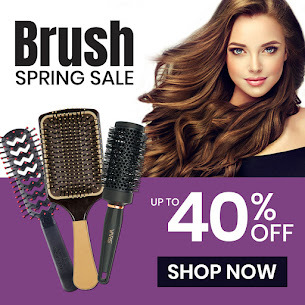 The color is “hand swept” by the colorist from mid-shaft to ends, which differs from traditional highlights that are applied from the base of the hair. How it looks: Think more natural-looking highlights that are a bit easier to maintain. PINTURA Similar to balayage, but for curly-haired ladies. This technique also paints color directly to the strands in specific patterns (depending on the desired effect). How it looks: Since stylists can choose exactly where to place color, the final result adds dimension and light-reflecting qualities specific to each client. OMBRÉ This look is generally low-maintenance and uses the balayage technique to paint color onto the bottom half of the hair length. (Balayage is the technique; ombré is the look.) How it looks: Hair is colored darker at the roots (or left alone if naturally dark) and fades to a lighter hue at the ends (or vice versa). Only your imagination determines which two colors to use! TORTOISESHELL Also known in the beauty world as "ecaille," colors ranging from gold to chocolate are added and blended through the hair to create a gradual shift from dark to light. How it looks: The tortoiseshell appearance is a bit softer and more natural-looking than ombré, and begins with a darker root that subtly fades to a warm blonde. 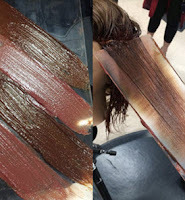 HAND-PRESSED COLOR Created by NYC-based colorist Chiala Marvici, this technique uses a plate of plexiglass (like an artist’s palette) to transfer multiple layers of color onto the hair. How it looks: Multi-dimensional color that appears to change as the hair moves. PARTIAL HIGHLIGHTS These highlights are placed around the face, though some stylists place the highlights on the top layers of the hair. Make sure to clarify which area the partial highlights will be applied to. How it looks: The addition of face-framing color can add volume and body to hair, though may appear dramatic if lower layers are much darker than highlights. FULL HIGHLIGHTS Like it sounds, the color is applied to every section of your head, from the nape of your neck to your hairline. How it looks: The highlight color usually appears in greater contrast to the original hair color and can look quite dramatic if a very light hue is chosen for dark hair. Conversely, they can also appear the most natural--if similar colors are blended together. LOW LIGHTS A technique that darkens strands of hair (rather than lightening them). How it looks: This can add depth to hair, which gives the illusion of more volume, and is often paired with highlights in order to add even more dimension. FOILING The most common method for applying highlights/lowlights, hair color is painted on strips of foil that are folded and allowed to “process” for a set time. How it looks: The color will typically appear on the entire strand of hair from root to tip. BASE COLOR A color that the stylist applies all over the head, from root to tip. This step usually precedes other colors or highlights. How it looks: One-dimensional color that looks uniform throughout--until you add other hues on top. GLAZE/GLOSS This liquid formula is applied all over and adds shine and semi-permanent color that typically lasts for up to two weeks. Some glazes are clear, which you can think of as a top coat for color. Glosses and glazes can also provide intense conditioning and often help repair damage to hair. How it looks: Think super-shiny color that fades quickly. FILLER A chemical that helps hair absorb color by filling gaps in the cuticle of the hair. How it looks: Hair color is more evenly distributed throughout and remains more vibrant for a longer period of time. Very informative post. 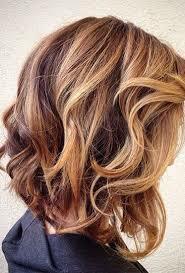 I want to do balayage on my hair.